Looking for a new year’s resolution? 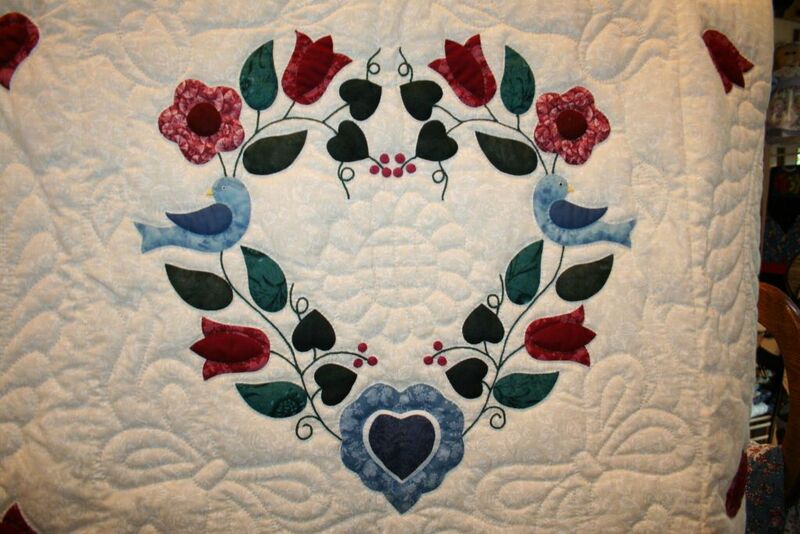 Why not take the fun, hands-on route of starting a new hobby like quilting? Even better: why not do so while visiting Indiana’s Cool North, where the quilting tradition has deep roots and still thrives today? Whether you’re a bumbling beginner or hardened veteran of the quilting craft, or just looking to shop for quilts and explore the quilting culture, here’s a look at quilting’s roots, how to get started, and where to shop for and experience amazing quilts of all kinds in Indiana’s Cool North. Sure, quilts make beautiful displays, but their origin comes from being a durable, necessary form of protection from the elements. Harsh winter conditions made staying warm even more important in the northern, colder American colonies. Following the Revolutionary War, English and Dutch settlers headed west through Ohio and into the Indiana territory, and brought with them New England quilts and blankets. When Indiana became a state, much of the area was still home to Potawatomi and Miami Indians. They traded pelts and hides for wool blankets to settlers, who brought quilts and their skills in growing, crafting, and dyeing fabrics. A boom in southern-grown cotton, textile mills, and the invention of the sewing machine made fabric widely available, so quilters could plan and design patterns instead of cobbling quilts together using clothing scraps. Quilting grew in popularity across Indiana in rural areas and in its expanding cities, and became more craft than necessity. Today, quilting thrives as a fun, social activity popular with group classes in shops or community clubs, where quilters new and old learn the craft. For a more in-depth look at Indiana’s quilting history, check out Quilts of Indiana: Crossroads of Memories, or find a review of this work and several others here. 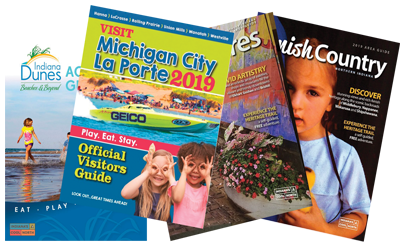 For a more hands-on learning approach, and one that includes some of the many amazing destinations across Indiana’s Cool North, here’s what you’ll need to get started. There are many distinct quilting styles, but like any craft, they’re flexible, so you can start with a standard pattern or create your own. Some of the most common styles include baby quilts (softer, all-natural, and durable fabrics), cathedral window quilts (translucent patterns based on stained glass designs), Civil War quilts (basic patterns and simple block fabrics), and Amish quilts (hand-sewn, striking designs using dark colors), which are one of the most influential and popular styles across Northern Indiana. Mesmerized by the vibrant colors, contrasts, and unique patterns of gorgeous quilts? Want to make one of your own? There are countless tools, gadgets, and materials used by advanced quilters, but here’s what you’ll need to get started and embark on your own quilt-making quest. Starter supplies include scissors, a cutting mat, rotary cutters, acrylic rulers, a basic sewing machine, thread, pins, clips, and of course, your chosen fabric(s). Wondering where to find tools and supplies in Indiana’s Cool North? Luckily, there’s no shortage of options. With quilting threaded so deeply into the cultural fabric of Indiana’s Cool North, it’s no surprise there are more quilting shops and festivals than we could fully feature here. Below, though, are some of the best shops, venues, and events that are quintessentially quilt-focused. The Quilters Apothecary in Michigan City is a hub for the quilting community and offers products, services, training and information for quilters of all skill levels. Another must-see is The Antique Market, where over 140 dealers display fine-quality antiques including furniture, jewelry, art, quilts, linens, and more. 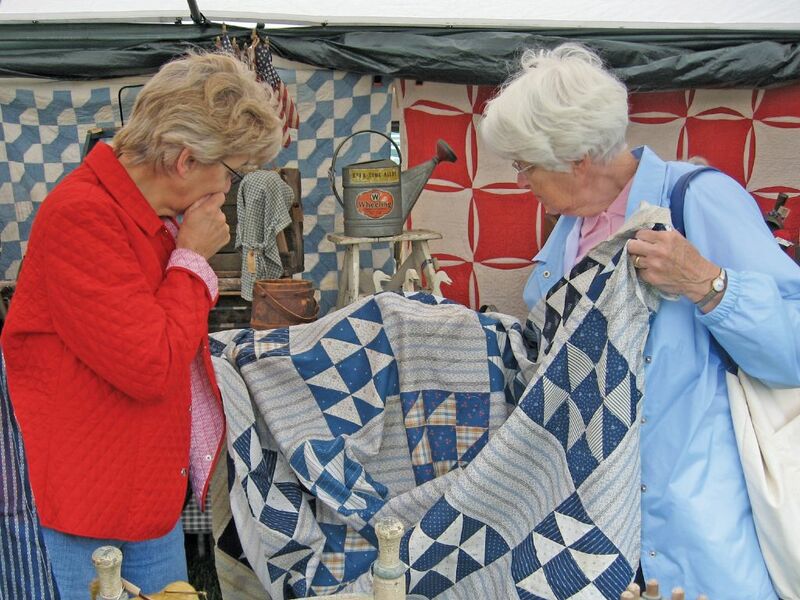 Shipshewana’s annual four-day Quilt Festival features lectures, workshops, internationally-recognized quilters, and a vendor show. It runs from June 19-22, 2019. You will find many supply shops in Shipshewana. Elkhart County’s Heritage Trail includes Amish Acres in Nappanee, which is the perfect place to shop for quilts and authentic Amish goods. Their annual Arts & Crafts Festival features over 300 artists and crafters, and takes place August 1-4, 2019. Colorful textiles come alive through stories at the Elkhart County Historical Museum. The popular behind-the-scenes quilt show, “Stitches of Devotion,” is a show-and-tell opportunity for visitors to view dozens of quilts from a collection spanning over 150 years. If you’re shopping for quilts, another excellent venue is the Old Bag Factory—equal parts studio, gallery, cafe, and event center featuring all sorts of unique antiques and crafts. 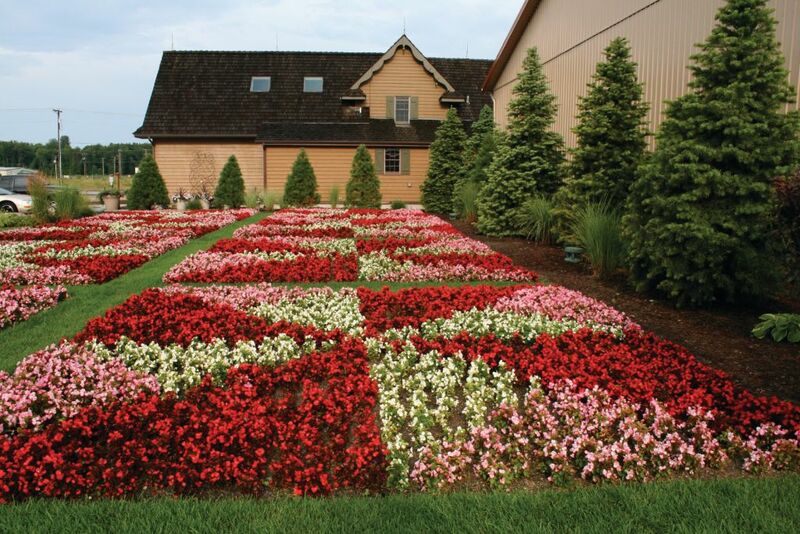 Quilting, gardening and art collide in a colorful collage to create Quilt Gardens along the Heritage Trail—a truly one-of-a-kind, free, and must-see experience in Indiana’s Cool North during the summer months. More than a million blooms across 18 gardens and 22 hand-painted, super-size murals in several communities create a colorful patchwork of quilt-inspired gardens and quilt-themed murals. Each has its own original design, and all are linked by the roads that form the Heritage Trail. Now that you’ve got some quilting knowledge, inspiration, and places to discover, why not plan a 2019 getaway in Indiana’s Cool North? Check out even more fun things to do in Northern Indiana here.